Alden took his last ride for life on his 4-wheeler on Monday, Aug. 13, 2018. Born Jan. 14, 1935, in Sandy, Utah, to Rulon T. and Alice Tolman Broomhead. Member of the LDS Church. Married Marilyn White, later divorced, then married Jackie Anderson on Aug. 31, 1985, in Grantsville, Utah. Survived by wife, Jackie; children, Randy (Sheryl) Broomhead, Starli Cornforth, Julie (Steve) Jones, Rob (Charnelle) Broomhead, Bill (Jennifer) Broomhead, Trixie (James) Vera, Craig (Duane) Phillips, Paul (Lori) Phillips and Casey (Paulette) Phillips; 18 grandchildren and 19 great-grandchildren; siblings, Ron (LaRae) Broomhead, Taunya (Steve) Robbins and Ric Alexander; and brother-in-law John Cederlof. Preceded in death by sister Nancy Cederlof and son-in-law Soren Cornforth. A viewing will be held Sunday, Aug. 19, from 4-6 p.m. at Broomhead Funeral Home, 12600 S. 2200 West, Riverton, Utah. 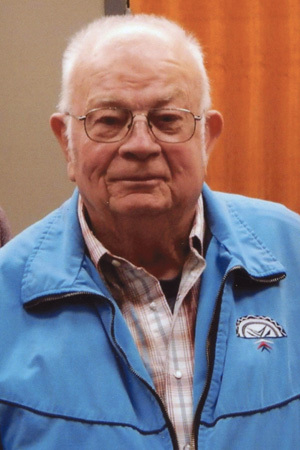 Funeral services will be held Monday, Aug. 20 at 11 a.m. at the Grantsville 4th Ward, 428 S. Hale St., Grantsville, with a viewing from 9:30 to 10:45 a.m. Interment Tooele City Cemetery. Sad to hear of my friends passing,glad i new him.